Kawhi Leonard will be a free agent this summer. 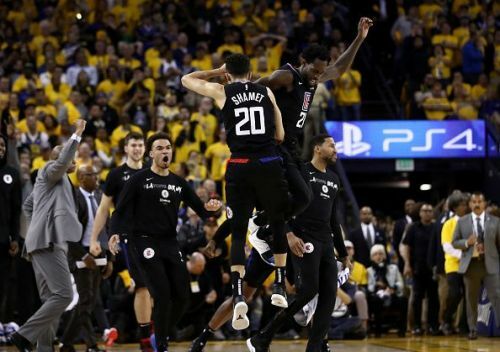 Last night, the Los Angeles Clippers pulled off the largest comeback in NBA Playoffs history, coming back from down as much as 31 points to defeat the defending champions Golden State Warriors on the road in the Oracle Arena, possibly the toughest environment in the NBA to play in. The Clippers likely still have no chance to win this series, as the Warriors are still the overwhelming favourites to win the championship, even with DeMarcus Cousins going down to injury for possibly the rest of the season. Last night could have quite possibly been a huge win for the Clippers in a totally different way, and here is how. The Clippers have shown the NBA that they play with heart and resilience, and last night was just another example. A certain man north of the border was most likely watching this game, that man is Kawhi Leonard. 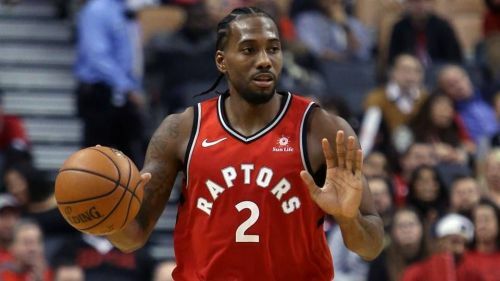 People around the league regard the LA Clippers as one of the favourites to acquire Kawhi Leonard in free agency this offseason, and last night might have punched that ticket. Barring an unexpected run to the NBA Finals, Kawhi Leonard is expected to leave this offseason, and the Clippers performance last night may have sold him on his new team. The Clippers are one major piece away from legitimately competing for a championship, and Leonard no doubt fits the mould of being that one major piece. If you put Kawhi on the Clippers' roster, they jump up to a top four team in the Western Conference. The Clippers have a roster full of young guys with lots of potential, mixed with veterans, such as Lou Williams, Danilo Gallinari, and Patrick Beverley. Coached by Doc Rivers, who will definitely find himself in the Hall of Fame one day, this Clippers team could be a real threat if Kawhi Leonard comes to town, which seems like it could become a reality this summer after the Clippers' impressive performance last night.